In my previous posts, I have detailed guide how we can download and record FIFA World Cup videos or live streaming from over 1,000 video sites like YouTube, Facebook, Dailymotion, BBC, CBS, ITV, Sling TV etc. Do you want to transfer the downloaded and recorded Russia World Cup videos as well as your photos to your iPhone/iPad/iPod, Galaxy S9 or other Android devices so you can enjoy them anywhere you go? And, for those who are able to go to Russia World Cup, I am sure you have recorded a lot of videos during the great journey, don’t you? However, you may find the FIFA World Cup recordings by your HD camcorders from Sony, Canon, Panasonic etc, are in AVCHD or other video formats and none of the portable devices support. So how can we transfer and sync 2018 FIFA World Cup recordings to iPhone, iPad, iPod or your Android devices? Today, I am going to show you two ways to transfer and sync your FIFA World Cup videos you download or record and photos to your iOS or Android devices, no matter what video format they are. Wondershare Dr.Fone is a collection of iOS or Android tools that are able to recover, transfer, backup, restore, switch and erase data for your phone. And I have been using Dr.Fone Transfer to transfer my ripped Bluray to Galaxy S9 and transfer MKV to iPhone. You are able to download a trial version and follow my guide below to see how we transfer 2018 World Cup videos or recordings to iPhone/iPad/Android. Although there are different function module in Dr.Fone, you just don’t have to activate others if you just want to transfer FIFA World Cup videos and photos to iOS or sync Russia World Cup recordings to Android. dr.fone Transfer is able to do all you need. As we know there are different video formats by different cameras or camcorders, however, with Wondershare Dr.Fone, you are able to transfer almost any video formats! And you may be wondering if you are still able to play the transferred World Cup videos on your iPhone/iPad/iPod or Android phones/tablets? And the answer is YES, responsibly. This is because Wondershare dr.fone automatically converts FIFA World Cup videos to the most compatible formats with the most compatible codec, bit rate and resolution depending on your device. Transferring Russia World Cup videos, photos or recordings are just within a few mouse clicks and below is my step-by-step guide transferring FIFA World Cup videos/recordings/photos in AVI, MXF, F4V, FLV, MPEG-2, JPG, PNG to iOS or Android device on PC and Mac. AVCHD is a bit special and I will explain in the below guide on how to transfer AVCHD. Besides, my screenshots are taken on Windows, but the guide will apply to the Mac version as well just because they look and work the same. You are able to download the iOS or Android Toolkit of dr.fone, however, Recover comes as default and you will download Transfer separately. Just move your mouse over Transfer and click the Download button. You don’t have to restart the program. Tips, if you lose your World Cup video and photos on iOS or Android, Recover is able to help! Click Transfer and will be taken to the Transfer module and dr.fone will automatically connect your phone. Go to Video tab if you want to transfer FIFA World Cup videos/recordings. If photos, click the photo tab. Click the Add button and its drop-down menu to add any video or a whole folder of your World Cup recordings. Transferring starts simultaneously when you click Open or OK after World Cup recordings photos or a whole folder are selected. If there is any format that is detected not compatible with your iPhone/iPad, Wondershare will ask if you want to convert before uploading. Click Yes to confirm. Wondershare Dr.Fone seems to be able to transfer World Cup recordings in AVCHD directly to iOS/Android devices. However, all I get is a message in seconds that says: “Operation Complete!” However, nothing comes into my phone. After two days communication with Wondershare’s support team, I was notified “Our program cannot transfer AVCHD directly.” But no worry, I will walk you through how to transfer AVCHD to iOS or Android on your Mac if your World Cup recordings 2018 are AVCHD files. 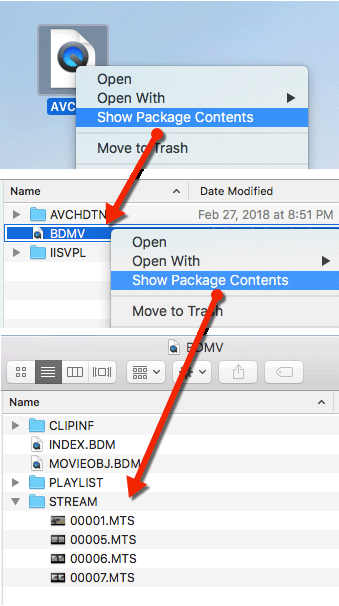 Once you locate the MTS video file in your 2018 World Cup recording by HD camcorders, you are able to drag and drop MTS to the program for transferring! 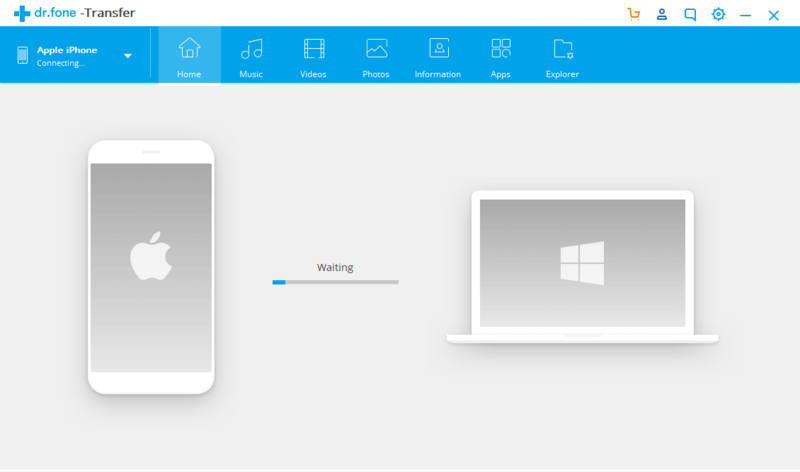 With Wondershare Video Converter Ultimate, you are able to transfer your World Cup videos or recordings from PC or Mac to iOS/Android devices as well. The direct transferring steps are generally the same as we do in dr.fone Transfer. Download, install, launch Wondershare Video Converter Ultimate and check out the detailed guide. Firstly, you will have to connect your iOS or Android devices to your computer. For Windows, make sure all drivers are correctly installed. Go to Transfer tab and Wondershare will automatically connect your phone. Please note Wondershare will install an app called Wondershare connector to your Android devices for data transferring. It is 100% safe as you can see the rights it requires. It just does what it really needs to do. After your device is recognized, click the Add file button, locate the World Cup videos recordings and click Transfer or Transfer All to start transferring 2018 World Cup videos to iPhone/iPad/Android. You are also able to convert World Cup videos to customize video format with your desired resolution, codec, bit rate and frame rate for your iPhone/iPad/Android and then transfer. In this post, I explain in detail how to convert FIFA World Cup videos. 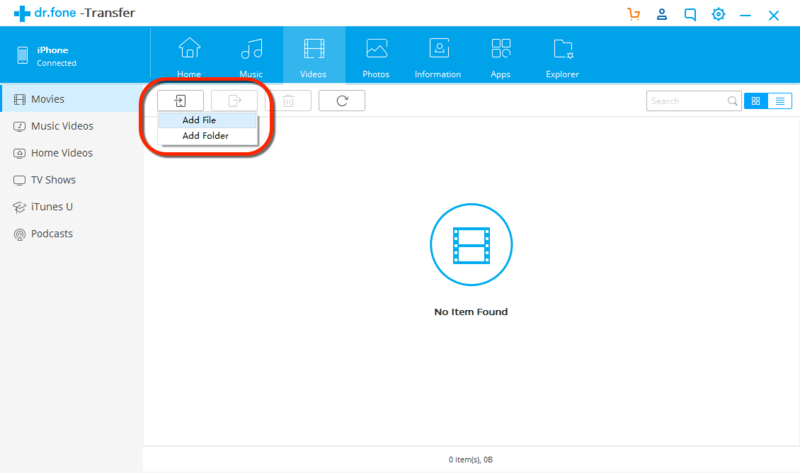 And, to transfer World Cup recordings in AVCHD to iPhone/iPad/Android with Wondershare Video Converter Ultimate, you will have to convert it first, follow this guide to do so. Anyway, after converting, go Converted tab and click “Add to Transfer List”. And then go to Transfer tab and click Transfer or Transfer All, which is the same as we do above. We see both Wondershare Video Converter Ultimate and Wondershare Dr.Fone are able to transfer FIFA World Cup Videos and recordings 2018 to iPhone/iPad/iPod/Android and it does not matter what the video formats are. So what’s the difference between the two programs and which is the best solution to transfer and sync World Cup videos and recordings and even photos? To transfer World Cup videos or recordings with the “Transfer” function in both Wondershare Video Converter Ultimate and Dr.Fone, there seems no difference. If your videos are NOT supported by your iOS or Android devices, they automatically convert them to a most compatible video. However, Wondershare Video Converter Ultimate is named a converter, we are able to convert AVCHD, M2TS/MTS, MKV, AVI to iPhone/iPad/iPod or different Android devices with customizing video formats, codec, resolution, bit rate, frame rate, but you just cannot do those with Dr.Fone. But with Dr.Fone Transfer, you are able to transfer, sync and backup World Cup videos from your iOS/Android device to PC or Mac. So, if you want an all-in-one solution to download, record, transfer, edit and burn your World Cup videos or recordings, go for Wondershare Video Converter Ultimate. The bonus features of creating GIFs from World Cup videos or photos and converting 2D Russia World Cup videos to VR are impressive! However, please note, Wondershare Video Converter Ultimate does not transfer photos! And, if you are looking for a more professional iOS/Android transferring, recovery, restore solution, go for Wondershare Dr.Fone. So, there is the question, which better meets your needs? Wondershare Video Converter Ultimate or Dr.Fone?